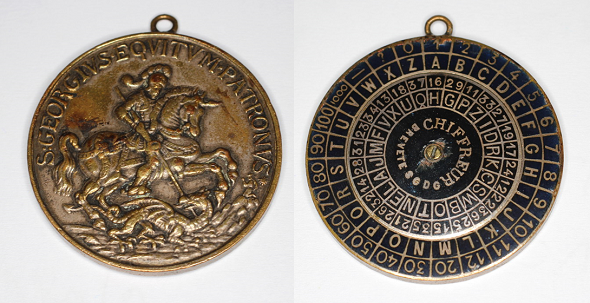 Here’s a strange cipher device: the front-side is a medal depicting St. George fighting a dragon, the rear-side is a cipher disk. Does a reader know anything about the background of this item? “Now I know what crypto currency really means”, my friend and blog reader Karsten Hansky wrote in an email he sent me yesterday. In fact, Karsten recently purchased an item that incorporates both crypto (a cipher disk) and currency (a coin). This “crypto currency” device is by no doubt a lot older than BitCoin, so calling it the world’s oldest crypto currency is not exaggerated. The medal inscription “S: GEORGIUS EQUITUM PATRONUS” is Latin. It means “St. George, patron saint of horse riders”. It seems likely that this medal was worn by horse riders. 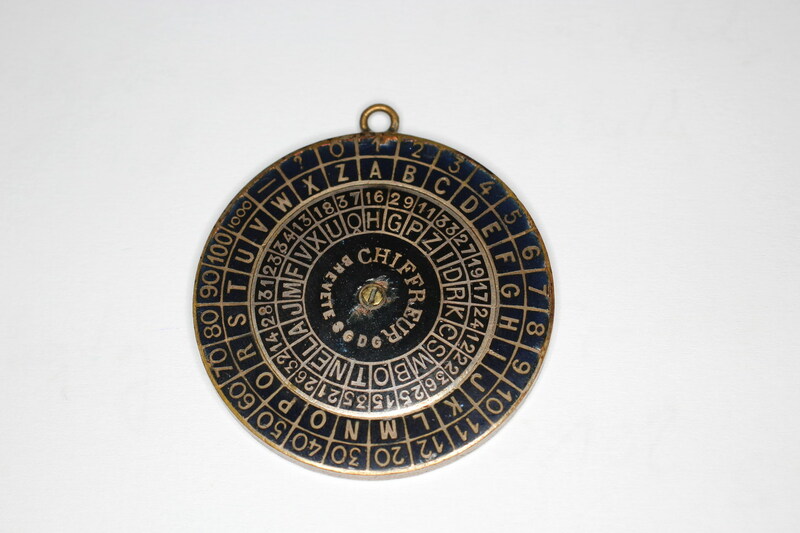 As can be seen, this is a cipher disk. The central ring of the device can be turned, so the cipher disk is operational. It should be clear that an encryption made with such a device is not very secure (unless one turns the wheel several times during the encryption process). However, in my view, this item doesn’t look like a toy. 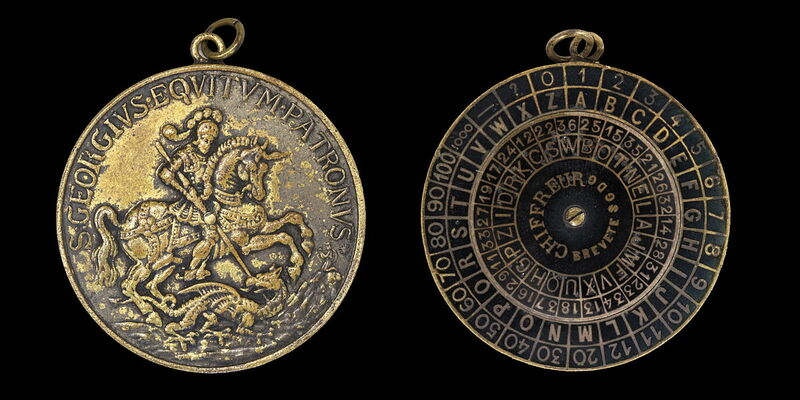 Incorporating a cipher disk into a medal might have been a way to hide it. Does a reader know more about it? 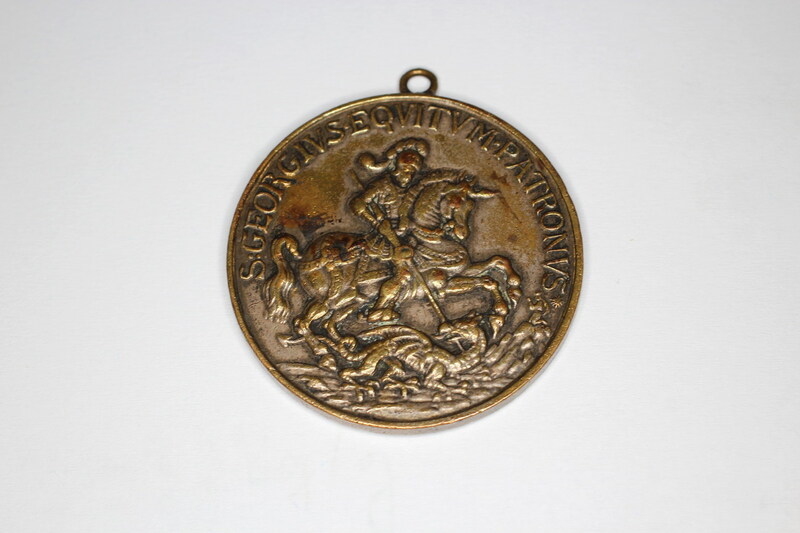 According to the Wikimedia page, this specimen of the St. George medal is a part of the cryptography collection of the Swiss Army headquarters (does a reader know where this collection is located and if it is accessible to the public?). The origin of the device is probably France. The inscription “Breveté S.G.D.G.” (“Breveté Sans Garantie Du Gouvernement”) is French and translates to “Patent without government guarantee”. Statements of this kind were used in France until 1968. Can a reader find out more about this crypto medal? Karsten and I would be very interested. This device is the “chiffreur universel de Flamm” (Flamm’s universal encryptor) circa 1896. 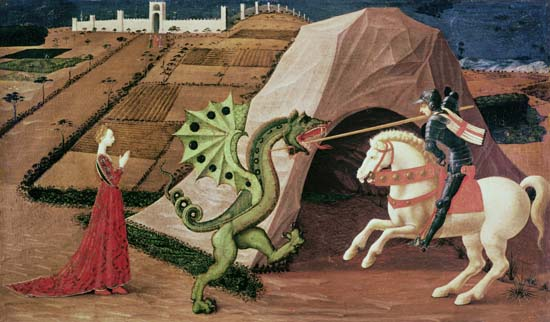 Since Saint George Thalers were widely used as amulets by soldiers, the combination with Flamm’s chiffreur obviously served as a simple encrypting/decrypting device for soldiers in the field. key can understand this correspondence. of two parts: one fixed, the other mobile. part serves to indicate the letters or numbers on the outside. encipher the circle outside, the corresponding letters of the inner circle. since we can substitute for each letter the corresponding number. (inner circle or encrypting circle). would have its own key. initiated into the secret of deciphering the correspondence. It’s very strange that the letter Y is not in the alphabets of this disc. thanks for information and translation. I do not speak French so it was difficult for me to find out more. Nice to hear that it was around 1900. I do not think that the device was very successful because it is very simple. @Rossignol: Thanks for this information.